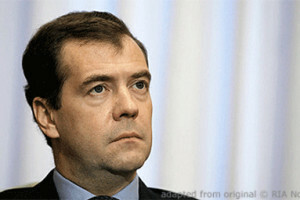 The Prime Minister answered the questions of Sergei Brilyov, the programme’s host. Dmitry Medvedev: In the past six years, the Government has worked in unprecedented conditions, which include unfavourable changes in the global economy and on the hydrocarbons market, as well as sanctions, starting with those imposed on Russia in 2014. All of this taken together formed a group of shocks the kind of which our country has not encountered in its recent history, not even during the 1998 crisis. It was a very deep crisis, but we were not denied access to [international] financial markets. Some countries even tried to help us out at that difficult time. But in 2014 and later on, we were left to our own devices. We have no access to international funding, and sanctions have been slapped on Russian companies and individuals. The situation has been compounded by low prices on hydrocarbons, which are our main export items. I am referring to oil and gas, of course. It has been a difficult period, but on the other hand, it has helped us mobilise. In light of this, the goals we have attained in that period look very impressive. Despite the conditions, despite tough competition in the world, we still retain the crucial positions as an exporting country. We are number one natural gas exporter in the world. We hold second place in oil exports and third place in coal exports. In this respect we have not ceded our positions. Another area that is also very important for the normal life in the country is food. It is true that we currently provide ourselves with our own food to a considerable degree. We had an unprecedented harvest, the biggest in our country’s history – and this is if we look at the Russian Empire, the Soviet Union and the Russian Federation in the present borders – 135 million tonnes. We are the world’s largest wheat exporter. In terms of the labour market, as of today we have the lowest unemployment, just less than 5 percent. This is a record low figure. It is much better than in Europe, there is no doubt about that, because if we look at southern European countries, their unemployment rate does not fall below 20 to 25 percent. And it stands at 7-9 percent in most developed countries. But it is key that we somehow started the programme of transition from the current economic paradigm to a more advanced one, which means creating as many hi-tech jobs as possible. The economy largely depends on the people. Decisions made by foreign countries or international organisations such as OPEC, regional conflicts, or something else, even natural disasters – all of that has an impact on the global economy. Such actions definitely affected both our stock market and the currency market. But now everything has settled down since there were no deep-rooted reasons. As for the latest US sanctions, it is outrageous and obnoxious. This is tantamount to a non-competitive fight against Russian companies. The companies against which the sanctions have been introduced, some of them are very large and others hold first or second place in the world in some sectors, for example, in the aluminium sector. This means that the Americans are protecting their market. This is protectionism. They are fighting against China and Europe, and they are also fighting Russian companies under the pretext that we are misbehaving. They have also introduced personal sanctions against Russian companies. I believe that this is non-competitive behaviour. By the way, the Americans have always behaved like this. Even when they advanced political conditions, they did so to protect their market and to promote their economic agenda. This has always surprised me. They made political or humanitarian complaints against us, and then they said they have economic interests here or there, including in Russia, and that we must stay away from them. Yes, this is an entirely separate agenda, and purportedly we cannot have anything to do with it. But of course, we will always respond to such actions. To a large degree, this situation has encouraged us to rethink our views on Russia’s place in the world. First, the policy of containing Russia is a strategic line. Our international partners will continue to pursue it regardless of how our country may be called. They did this with regard to the Russian Empire, and they did this many times with regard to the Soviet Union and Russia. Therefore, we must adjust to it. Import substitution, the development of our economy and the improvement of our social institutions are the only response we can make. There is no alternative to it. This is why we will act from the assumption that sanctions will remain in place for a long time, especially considering the latest sanctions bill. The Americans not only adopted it and had it approved by the Congress. They have also bound their presidents, the incumbent and the future ones, hand and foot. They have paralysed them to prevent them from lifting the anti-Russia sanctions. We must bear this in mind when planning our economic development for decades ahead. Nothing good ever comes of this. This will entail losses for us and for the Europeans. The Americans’ losses will be smaller, because the volume of our trade with them is not large. But they will sustain losses nevertheless. Therefore, sanctions in themselves are a bad thing, and they will influence our development for many years. But the main thing is that we are aware of this and that we have created instruments for responding to this pressure. We have passed the stress test. We have survived. Our economy lives, and our social sphere is improving. The State Duma is discussing a draft law on our response to the new US sanctions, and the Government is preparing conclusions regarding this law. It is clear that we must take several things into account when preparing and adopting this law – because we do need to respond to the Americans’ actions. First, we must not harm ourselves, because we should act pragmatically. Even when something annoys us – and the Americans are behaving obnoxiously, as I have said, we must not do any harm to ourselves. Second, the reply, whether symmetric or asymmetric, must be painful. Why deal half-hearted blows that will not bring any result? No, we must take painful measures. At the same time, I believe that the draft law we are talking about must include a provision allowing the President or the Government to impose individual sanctions on any person or entity that is a US resident. This would be a symmetrical response. They take decisions against our individuals simply because they do not like them, and we must have the right to do the same. If they do not like some of our companies, we must have the right to act likewise with regard to their companies. This does not mean that we should make decisions on entire sectors right away or take other similar actions. We must stipulate a relevant decision by the President and the Government. Moreover, even if the law includes these provisions, it does not mean that they should be applied automatically. I believe this is very important. Another thing that looks important to me is that all these sanctions are clearly spearheaded against Russia’s interests. In essence, they aim to destroy our social and political system and to harm our economy as well as individuals. In this case, compliance with these actions by our citizens should be considered an offence. Nobody should comply with these US sanctions, and violators should be liable administratively or criminally. By the way, under US law, compliance with decisions of a foreign state that are harmful to the United States is considered a crime. As for the WTO, there is no alternative to this international trade organisation, no matter what some countries and national leaders do. It has many problems and inconsistencies, and the Doha Round of trade negotiations appears to be endless. But without the WTO international trade would be completely unregulated. Without a doubt, we will maintain our countersanctions or response restrictions, because our EU and American partners have recently extended their sanctions. They cannot be lifted other than by a reciprocal decision. Besides, our farmers applauded the countersanctions that curtailed food imports from Europe. They are asking us to extend them. In fact, this has protected our food security. Our record harvests and milk yields and the high results in livestock breeding and crops are all connected with our response restrictions. As for state support for the companies on which the new US sanctions have been imposed, these are large companies, which is exactly why the state should support them. We should definitely provide assistance for the manufacturing companies that are on the new sanctions list so their personnel – tens of thousands of people around the country – do not lose their jobs and so these companies can continue to develop. This is the logic of our support.